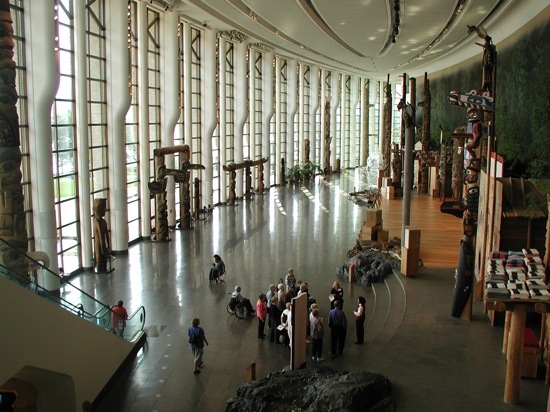 Canadian Museum of Civilization's Great Hall in Gatineau, Quebec. 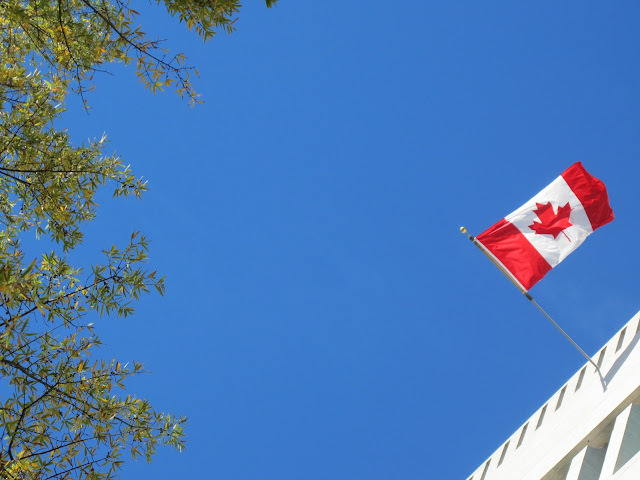 The Canadian Tourism Commission (CTC) launched a new marketing program in July 2011 called the Signature Experiences Collection. In an effort to attract more international travelers who are looking for the unique and exotic, the inaugural list was comprised of 48 Canadian tourist highlights. In October 2011, 67 additional tourism enterprises were added, bringing the total to 115 members. According to the CTC, the collection's tourist attractions are located coast to coast and deliver the authentic experiences that "high spending target customers look for when they choose a vacation destination." 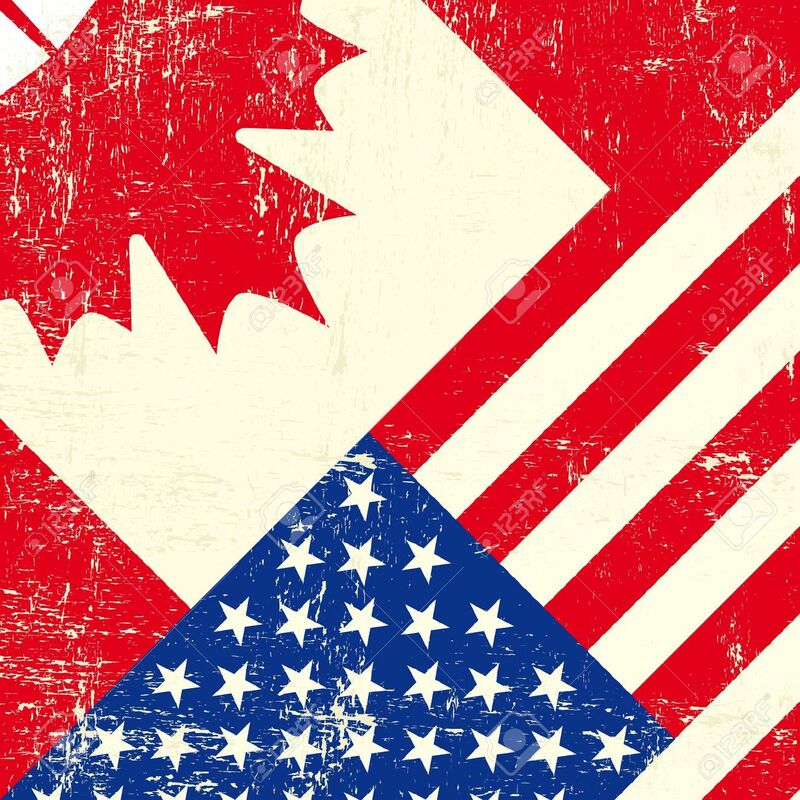 It's all part of Canada's tourism brand, Canada. Keep Exploring, and is being marketed in 11 countries: Australia, Brazil, China, France, Germany, India, Japan, Mexico, South Korea, United Kingdom and the United States. The CTC will incorporate the tourism experiences in its marketing materials via social, print, online and broadcast media. 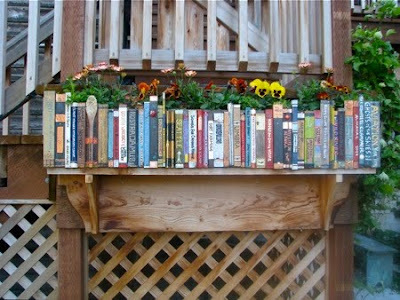 A second application period for new members begins Nov. 15, 2011 and runs through Dec. 15, 2011. Evaluation and selection will be held Jan. 2-Feb. 29, 2012. Here is a sampling of some of the 115 current members (those marked with * are the newest additions). 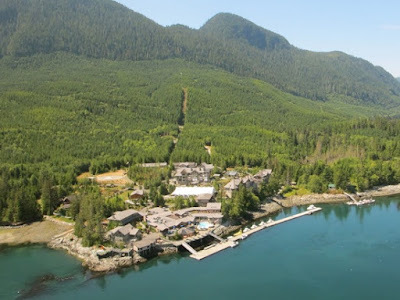 Arriving by helicopter at BC's Sonora Resort in Desolation Sound. British Columbia: Granville Island Market Tour-Edible British Columbia; Luxury in the Wilderness-Sonora Resort; Canadian Rockies Highlights-Rocky Mountaineer; East Meets West at Echo Valley Ranch-Echo Valley Ranch and Spa*; Blooms, Music and Fireworks!-The Butchart Gardens*. 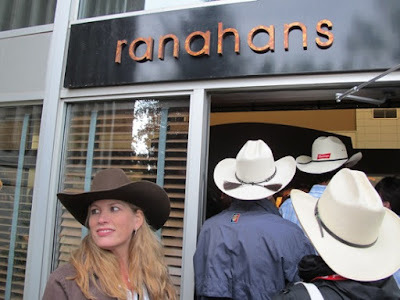 Taking the elevator to Ranahans restaurant at the Calgary Stampede. Alberta: The Greatest Outdoor Show on Earth-Calgary Stampede; Dinosaurs Unearthed-Royal Tyrell Museum of Paleontology; Soaking up History-Canadian Rockies Hot Springs*; Johnston Canyon Icewalk-Discover Banff Tours*; Paws in the Wilderness-Holiday on Horseback*. 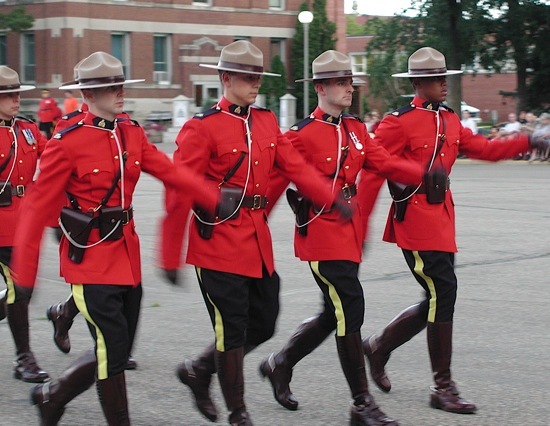 Cadets at Regina's Royal Canadian Mounted Police Heritage Centre. Saskatchewan: Cypress Hills Cowboy Adventure-Historic Reesor Ranch; Canada's Iconic Mounted Heroes-Royal Canadian Mounted Police Heritage Centre. 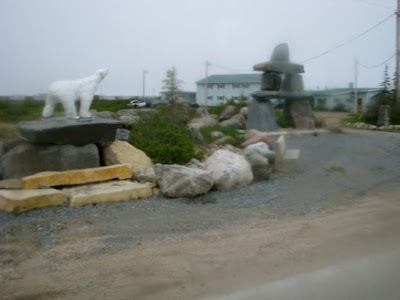 Churchill, Manitoba is home to polar bears, belugas and birds. Manitoba: Marvels of Manitoba-Churchill Nature Tours; Birds, Bears and Belugas-Churchill Wild; Polar Bears by Tundra Buggy-Frontiers North; Hermetic Code Tour of the Manitoba Legislature-Heartland International Travel and Tours; Pathway of the Voyageurs-Aikens Lake Wilderness Lodge*; The Lazy Bear Wilderness Expedition-Lazy Bear Lodge*. 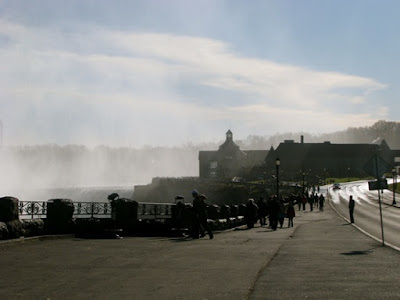 Experience "Journey Behind the Falls" at Niagara Falls, Ontario. Ontario: Unique Sky High Adrenaline Rush-CN Tower; Stimulating the Senses! National Gallery of Canada*; Exploring Canada's flavours in a unique culinary destination-Le Cordon Bleu Ottawa*; A Look Behind the Curtain-Shaw Festival Theatre*; Journey Behind the Falls-Niagara Parks Commission*. The new Hotel-Musee Premieres Nations is in Wendake, Quebec. Quebec: The Grand Festival of Winter-Quebec Winter Carnival; Mountain Getaway-Chic-Choc Lodge; All That's Jazz-Montreal International Jazz Festival*; The Grand Hall Tour-Canadian Museum of Civilization*; Huron-Wendat Heritage on the Edge of Quebec City-Hotel Musee Premieres Nations*. 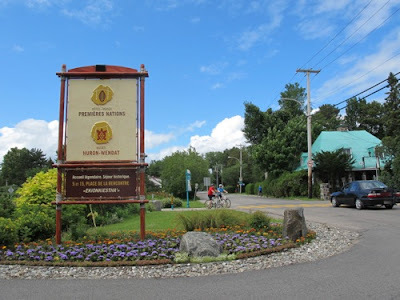 New Brunswick: Hopewell Rocks and Bay of Fundy Coastal Tour-Roads to Sea Guided Tours; Dive into Acadian Culture-Village Historique Acadien; Lobster Tales-Shediac Bay Cruises; Life in 19th Century New Brunswick-Kings Landing Historical Settlement*. Beer and history at Alexander Keith's Brewery in Halifax. 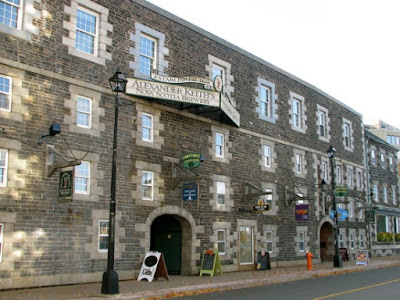 Nova Scotia: Step Back in Time to the Birthplace of Great Beer-Alexander Keith's Brewery; History on High: Halifax Citadel-the Halifax Citadel National Historic City of Canada; Cape Breton Island Multi-Sport Kayak, Bike and Hike-Freewheeling Adventures; Tidal Bore River Rafting and Mud Sliding-Schubenacadie Tidal Bore Rafting Park and Cottages; Celebrate Celtic Music Throughout Cape Breton-Celtic Colours International Festival*. Prince Edward Island: Tong and Shuck-Future Seafoods Inc/Experiences PEI; Giant Bar Clam Dig Adventure-Tranquility Cove Adventures. Newfoundland and Labrador: Sagas and Shadows-L'Anse aux Meadows National Historic Site of Canada; A Guided Adventure on Your Own-CapeRace; The Iceberg Quest-Iceberg Quest Ocean Tours*; Picnic with the Whales-Gatherall's Puffin & Whale Watch*; Adventures and Mysteries in the Torngat Mountains-Torngat Mountains Base Camp & Research Station*. Yukon: Through the Last Great Gold Rush of 1898-Klondike National Historic Sites of Canada; Alsek and Nahanni River Rafting Adventure-Canadian River Expeditions/Nahanni River Adventures; Yukon Aurora Tours-Northern Tales Travel Services Ltd.*; Summer Solstice Eco-Yurt & Yukon Biking Adventure-Bzoreale Mountain Biking*. Northwest Territories: Aurora Wonderland by Dogsled-Beck's Kennels; Lodge Life and Cultural Traditions-Yellow Dog Lodge. Nunavut: Cruising Adventures Redefined-Adventure Canada; Narwhal & Polar Bear Adventure on the FloeEdge-Arctic Kingdom Polar Expeditions*; Living the Inuit Lifestyle-Carrefour Nunavut*; A Polar Bear Adventure-The Great Canadian Travel Company. 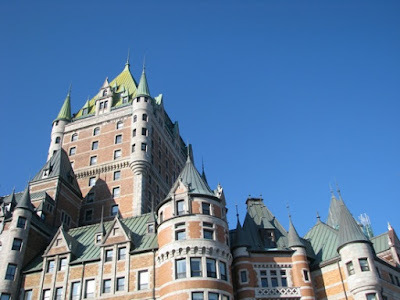 The Fairmont Chateau Frontenac in Quebec City is a Canadian icon. National: Historic Railway Hotels-Fairmont Hotels and Resorts; Trans-Canada Experience on The Canadia-VIA Rail Canada.